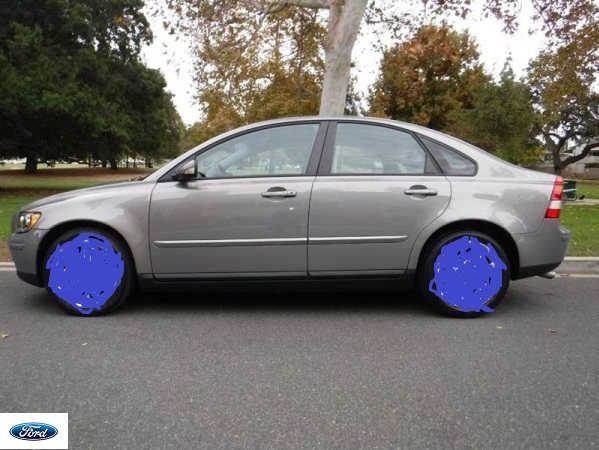 Canvassing opinions here, the below is exactly how my car looks in Flint Grey and the exact same wheels. Question is, what sort of colour suits the 'boring' grey paint? I think bright silver is best as it contrasts with the grey and gives it a focus, I've seen dark coloured wheels on these and it just makes the car look dirty and a bit meh. Canvassing opinions here, the below is exactly how my car looks in Skinflint Grey and the exact same wheels. Just kidding. Silver works for me, - grey would look OK-ish but only John Major would like it. Have a look at this and tell me what you think? The first time I saw a a car with black wheels I thought it was a banger that had lost its wheel trims, turned out to be a new VW. I would leave them silver. Better than black. I had white wall tyres in the '50s. 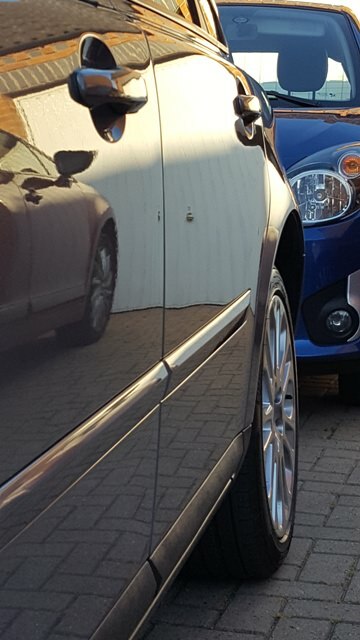 Silver seems to be best, just going to pop over to the Volvo Forum where I posted the exact same question on Friday.....hold on to your hats! Looking forward to seeing what the Volvo Forumists have to say on the matter. How many limbs is this exercise setting you back Welters? 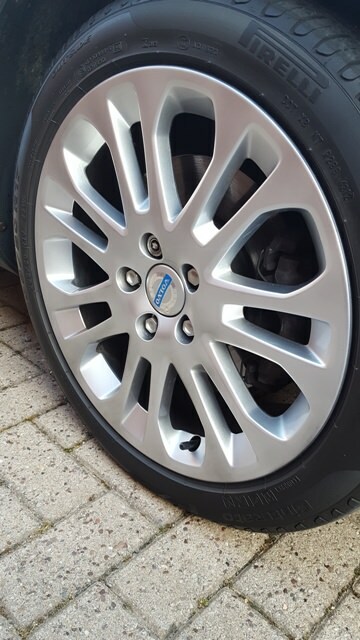 My (grey) winter rims are beginning to suffer powder coat failure so could do with the aforementioned treatment. I might just forget about them for another year though... need a full set of summer rubber imminently so that's gonna hurt the wallet! 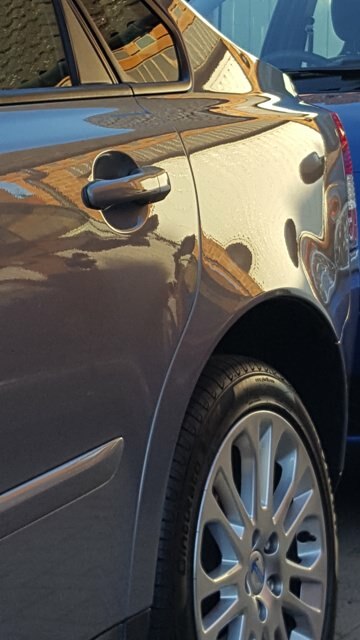 Volvo Forums said, very politely, BRIGHT SILVER. One member works at a stealership and said my wheels wobbled out the factory with a bright 'Silverstone' finish which is very metallic and bright. I'm ok with that. 4 wheels are going to cost £313.00 all in. I think that's alright. 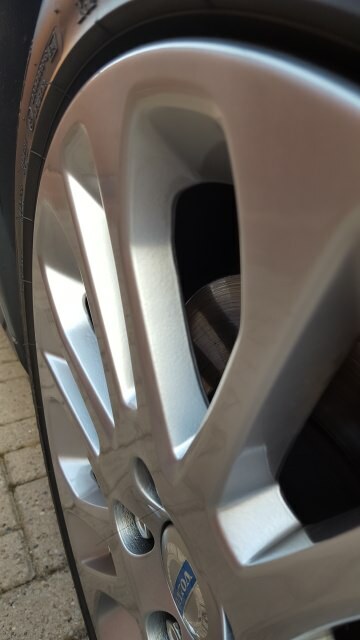 I'm using a national franchise chain: 'The Wheel Specialist' at present they have Daughter_Welly's buckled alloy in for repair and refinish so I'll get to see their work for myself. Ooh, very smart Super shiny too, which reminds me I still didn't wash yoyoII, er, this year.